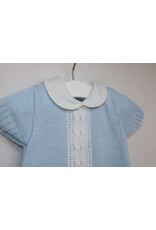 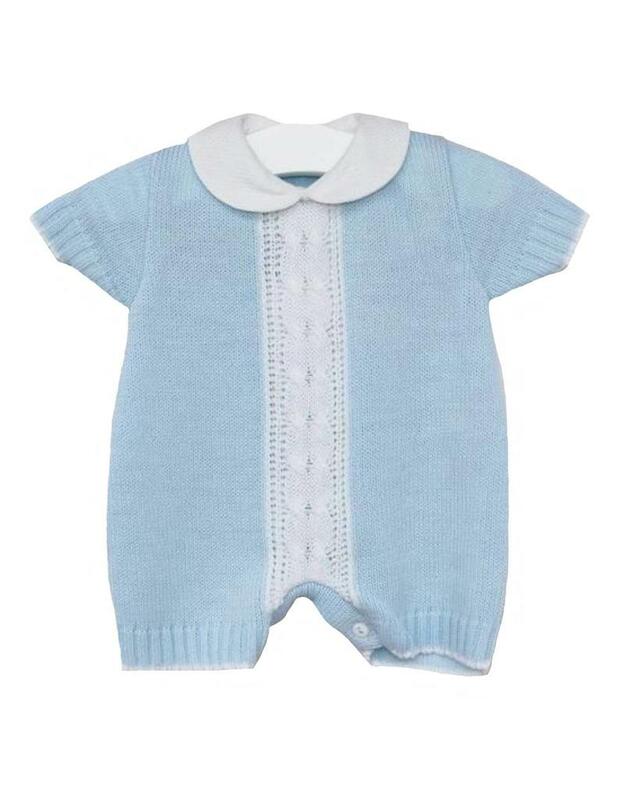 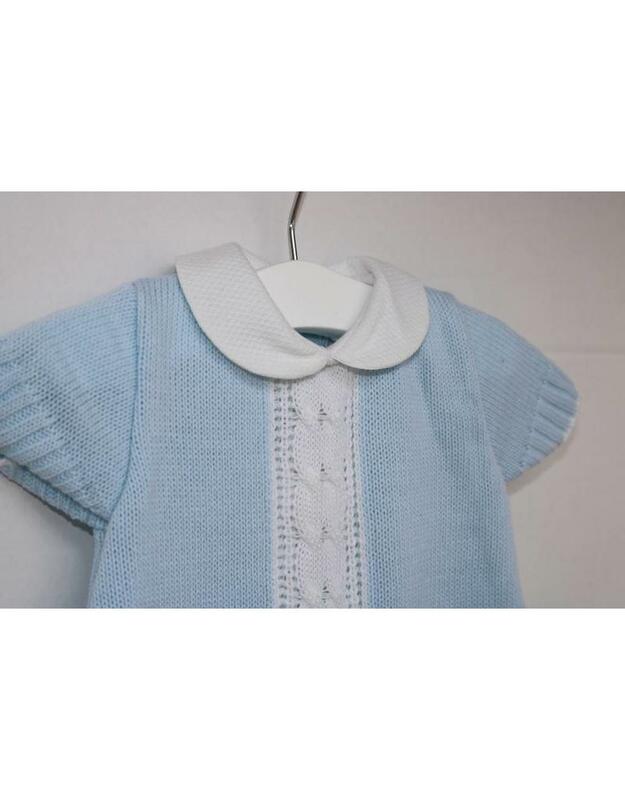 These little boys suits are knitted from beautifully soft fabric and it features a crisp white peter pan style collar and smart cable knit down the front. 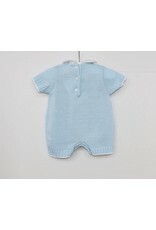 With short sleeves and legs, this suit is perfect for the warmer months. 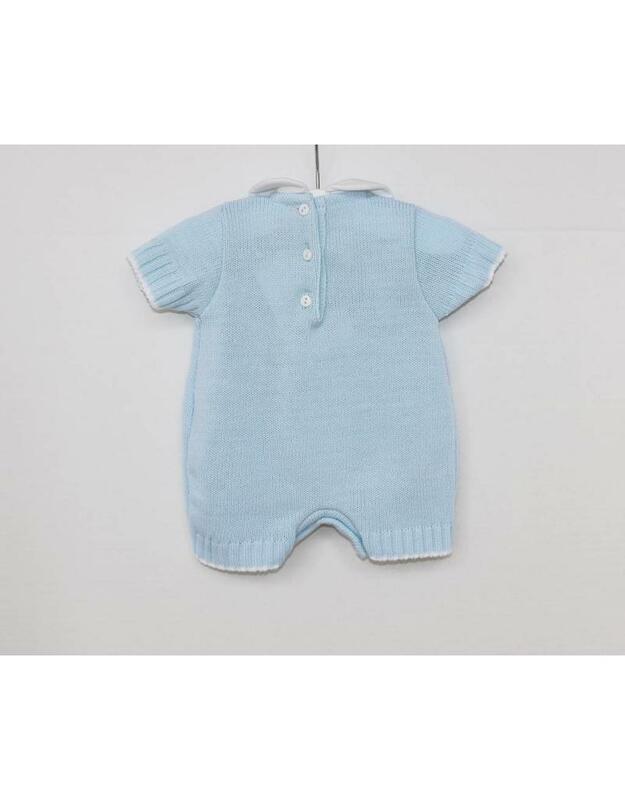 Convenient button fastenings to the back and between the legs make getting dressed easier.